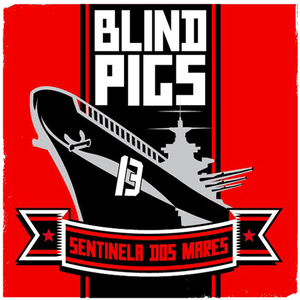 Founded in 1993, BLIND PIGS has since been sailing in rough seas, overcoming all the difficulties that an independent band has in Brazil, and more than that, exploring and discovering new possibilities. That's how in 1997 the band released their first album, "São Paulo Chaos", via Grita! - Latin arm of Epitaph Records, at the time home of bands like Offspring, Rancid and NOFX. Produced by Jay Ziskrout, former Bad Religion drummer, the album revolutionized production and recording quality standards in Brazilian punk. The quest for excellence in what he does is one of the most striking features of the group's career, which after their second album, "The Punks Are Alright" (2000), toasted us with the self-titled 2002 album, concept until then unpublished in Brazil, that of visual unity. Clip, promotional photo, website, poster, and cover of the cd digipack - something previously unheard of in the independent market - all followed the same theme, all produced with uniformity within the same session. 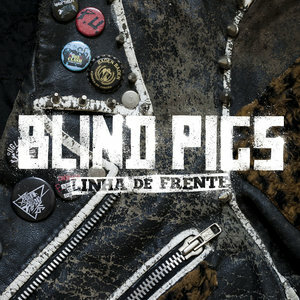 Completely translating, Blind Pigs takes on Blind Pigs and launches the album "Heroes or Rebels" in 2006, his last work in this first phase. And it closes its activities in 2008. In 2013 the group pulls the anchor and returns to navigate. The old sea lion shows his teeth once and for all. After completing 20 years of his career, the band released "Capitânia", on CD digipack and on vinyl 10 "imported with CD released - another innovation of the group for the national market. The new album shows that the band does not live" of acoustic versions of hits of the past "as they have already shouted in the past. The guys look forward to maintaining the level of production, execution and quality of the final product in the highest possible level in Brazil. Taking advantage of the 20-year career, the band's entire studio discography is being reissued on vinyl as well, all discs being pressed in the US with colorful vinyl and revamped gear. 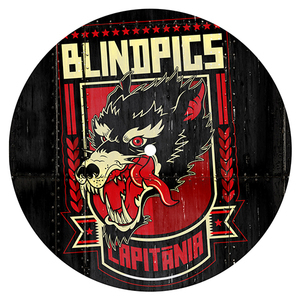 To launch all this, and to find its fans, the "legion of nonconformists", the crew of BLIND PIGS falls on the road for a commemorative tour, with more than a dozen shows in Brazil, ready for a good amount of sweat, beer and blood. The battleship BLIND PIGS goes ahead, facing all the adversities of the sea. There are things that are in the blood, you can not escape fate. 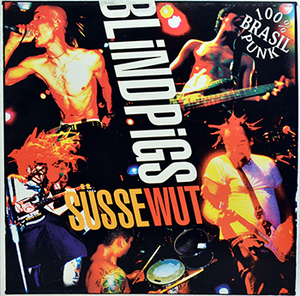 Blind Pigs - "Sentinal Dos Mares" 7"
Blind Pigs - "Süsse Wut"